Takashi Tokonami has over 25 years of experience in the communication testing industry. He has led Artiza Networks in the most advanced communication technology market since founding the company in 1990. In 2009, he established “The Artiza Philosophy” to promote a more unified and harmonious culture throughout the company. Before founding Artiza Networks, Tokonami worked as a software engineer at Tekelec Japan in the Tekelec Diagnostic Division, (acquired by Catapult Communications in 2001, and then by IXIA Communications in 2009). He has forged strong relationships with R&D leaders at NTT docomo and other major telecommunication operators, as well as major equipment vendors such as Nokia, NEC, and Fujitsu. Tokonami holds a B.S. in Physics from Tokyo Science University. Masahito Shimizu joined Artiza in 1998. He was responsible for establishing Artiza’s first-class systems for accounting and management designed to create an organization more suitable for a public company. His contributions were essential to Artiza’s successful IPO on the Tokyo Stock Exchange in 2001. The new accounting system has enabled the company to remain profitable over the years and maintain a stable balance sheet even after the IT bubble burst. He was appointed CFO in 2004 and is responsible for internal financial matters and investor relations. Shimizu started his career in a semiconductor company as an accountant, and has been responsible for international sites for almost 10 years. He graduated from a professional accounting college in Tokyo. 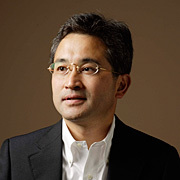 Naoyuki Tokonami joined the Artiza team in 1992. As a protocol software expert of OSI, TCP/IP, ATM and 3G technologies, Tokonami raised Artiza’s engineering power to its current world-class level of quality and technological capability. Under his leadership, his team successfully released the first-in-industry LTE eNB Load Testers into the market, with outstanding results. Before the LTE project, he led the company’s first move into wireless technology with Artiza’s 3.5G UE simulation project. Prior to joining Artiza, he worked for Yokogawa Electric as a software engineer, involved with factory automation projects. He received a B.S. in business management from Kinki University. He is the younger brother of Artiza’s CEO, Takashi Tokonami.